Guidebook to walking the entire South West Coast Path National Trail. 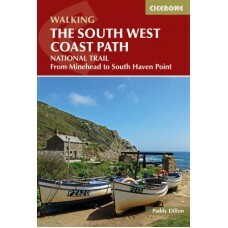 The route runs for 630 miles from Minehead to Poole along the north Devon, Cornish, south Devon and Dorset coastline. Divided into 45 stages, this long-distance coastal trek could be completed within 4 weeks, or walked in sections. Guide includes maps and essential information.